When it comes to budgeting, two can quickly turn into a crowd. That’s because some of us like to save our pennies, while others prefer to spend every last dime. And let’s face it—sometimes it feels impossible to convince the other person to change the way they look at money! But even if your spouse has different money habits than you, there’s room for both of you in an EveryDollar budget. Savers get a sense of control and spenders get permission to buy without guilt. Both parties win! In marriage, money belongs to both of you. That means you should both decide how to spend it. 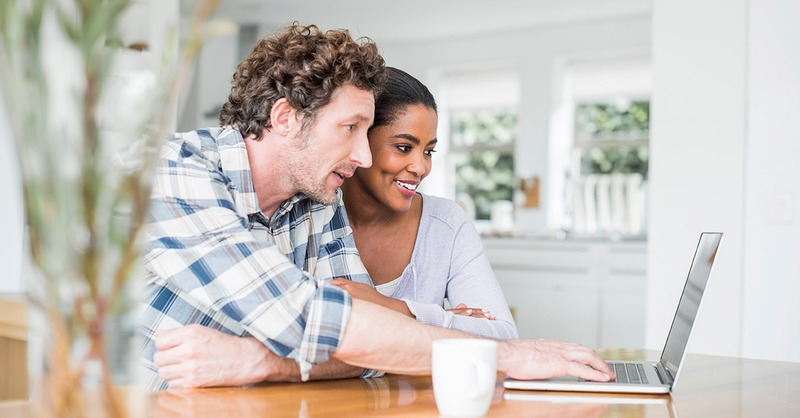 If your spouse is the spender, decide together on a reasonable amount of money for him or her to spend on whatever they want—no questions asked. And if you’re the spender, make sure your spouse works some fun money into the budget. When it comes to big purchases, determine a dollar amount to spark an automatic money discussion. It could be $100, or it could be $300. For any item over that price, talk it over before you make the purchase. You may even want to sleep on the decision. If you both still agree about it in the morning, go for it—guilt-free! If you’re married to a saver, be glad! You’ve got a built-in money manager. That doesn’t mean they get to make all the decisions about the family finances, though. It just means they actually enjoy handling the budget—so let them. But they have to run it by you before it’s final. And you absolutely must provide your input. Now, if you’re the saver in the marriage, make sure you allow your spouse to have his or her say. Saving is a top priority, but if your kids need new shoes or your spouse wants to go out to dinner, it’s not the end of the world. Simply work it into the budget. It’s okay to take the lead when it comes to budgeting, but don’t try to fly this plane without your copilot. You need them! The last proactive step in your plan is to track your money throughout the month with EveryDollar. This will help you and your spouse stick to the budget without fighting about it. It’s simple, easy to use and helps you both know exactly where you stand with the numbers. It’s fun for savers and spenders! Stay in sync with your spouse by managing your money together with EveryDollar. It will help eliminate some of the tough conversations—and you’ll have fun doing it! Don’t Let Money Be a Source of Conflict in Your RelationshipGet even more advice at the Money & Marriage live event! Featuring Rachel Cruze and Dr. Les Parrott, Money & Marriage is a date night worth investing in—and EveryDollar Plus users will be able to live stream the event on Monday, November 13 for free!